We would like to take a moment to introduce ourselves to the European Subaru Market. We are Killer B Motorsports, a Subaru performance parts manufacturer located in Waynesboro, VA U.S.A.
with a passion for perfection. Our team of Engineering, Manufacturing, Fabrication, Quality Control, and Customer Service resources are here to bring you an exceptionally high level of product value; bang-for-the-buck. 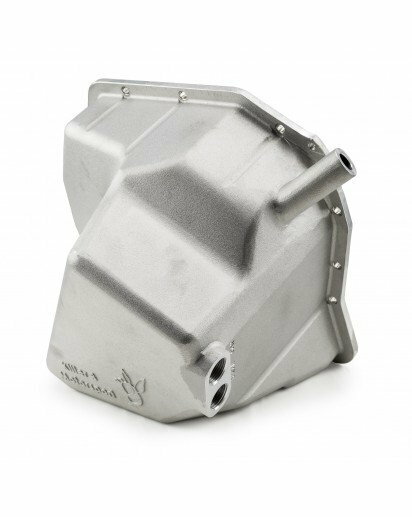 Our High Performance V4 cast aluminum oil pan is a great example of our attention to detail, and pursuit of perfection. With an advanced casting process, we can provide an extremely durable and robust product that will hold up to the abuse of the high performance and motorsport conditions. This Oil Pan holds an extra 1.32 litres of oil, a +30% increase in capacity over OEM, and was designed to work with our Killer B Motorsport Ultimate Oil Pickup (OEM ones are known to break), but will work with the OEM pickup. Interested in this shift ****,will it fit a 2007 sti? Hi how much discount are you offering your Fellow Subaru Enthusiasts? Yes, this **** will fit your vehicles application. Sorry, but we do not offer discounted items. All purchasers are responsible for all taxes and duties. These taxes and duties are applied by the European Union on imported goods. Just get Luke at icp to get you any killerb products as he's now a distributor and his prices will be already worked out as he's always importing stuff. ^ This is what we advise as well. We have a MAP policy and cannot discount items. Yes, we are aware that our products come from us. We use distributors to help sell products around the world. They happen to be one of them. Killer B Motorsport - Products now on ScoobyNet! Killer dogs or killer owners? Defi products!! Whos got them? good products?